Oldham Boxing and Personal Development Centre are the only Amateur Boxing Association of England (ABAE) affiliated club in Oldham. 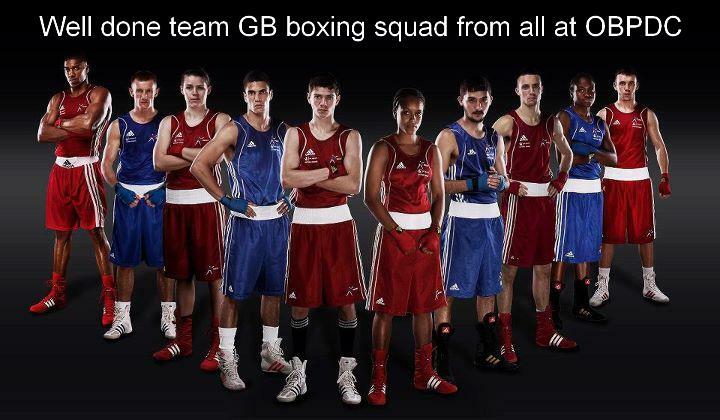 Clubs like ours are where future Olympians are born, and we proudly support and applaud Team GB’s phenomenal boxing success at the London 2012 games. After Beijing, funding was given to the sport along with a target of 3-5 medals. Even before the final bouts, we hit this target with guarantees of 5 bronze. Our sport is growing, and growth in sporting excellence at every level is sure to follow. At Oldham Boxing we’re lucky to have two former Team GB Olympic Coaches, Kevin Taylor and Kelvin Travis, as part of our coaching staff. Share the nation’s success, find a training session to suit you and let your ambitions be Olympic-sized! Nicola Adams sealed her golden moment with an Ali shuffle as she overwhelmed China’s double world champion Ren Cancan 16-7 to be crowned the first ever Olympic women’s boxing champion at ExCeL. Anthony Joshua brought a tumultuous end to the Olympic boxing tournament with a thrilling countback victory over Roberto Cammarelle, to claim Team GB’s third olympic gold. Battling boxer Luke Campbell earned Team GB another gold after a noisy Anglo-Irish tear-up at London 2012 against John Joe Nevin. Fred Evans won a silver medal to add to Team GB’s already impressive medal haul. Anthony Ogogo completed Team GB’s success at the London 2012 Olympics by claiming the bronze medal. Pound for pound, the toughest sport in the world is boxing. It’s the sport that demands the most from the athletes who compete in it. There is no membership fee, just pay to train with qualified CRB vetted coaches. Realise your dream of boxing and come down to join us.